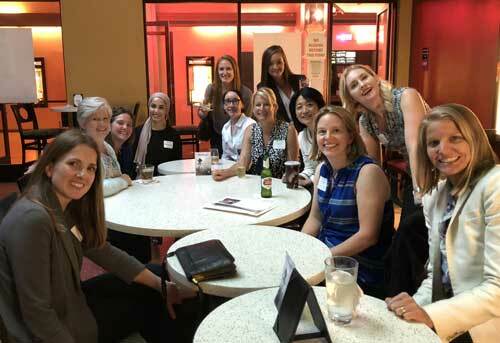 If you missed any of FWSF’s women-in-finance events in San Francisco or the East Bay, click on the links below for event highlights. Our signature events include the FWSF Financial Woman or the Year luncheon and scholarship awards ceremony. To get more involved, see our list of upcoming events. On Friday, September 14th, Financial Women of San Francisco (FWSF) honored one of the financial industry’s most prominent and inspiring leaders, Heidi Roizen, partner at DFJ Venture Capital. Mentorship can take many forms, but ultimately it has the power to positively impact a woman’s life and propel her career. While mentoring has been a foundational part of FWSF’s scholarship program, with mentors paired with each year’s scholarship recipients, FWSF believes in the transformative power of mentoring — regardless of where a member is in her career journey. Whether a member wants to be more effective in her current role, accelerate her advancement, or transition to a new role, FWSF wants to help its members be more successful. Therefore, FWSF is expanding its program to include mentoring for current members, focused on developing thought leadership and tools, and creating an environment conducive to varying types of mentoring interactions and relationship development. On June 6th, Kathleen Nielsen, FWSF’s president, and Minako Steel the co-chair of FWSF’s East Bay committee, spoke about FWSF’s history and mission at Capital One Café in Walnut Creek to Diablo Valley College (DVC) students interested in financial career paths. This event was the first of its kind with many more to come! The definition of family is changing. This week a group of about 25 women (and a few men!) came together to watch the thought-provoking documentary The Big Flip at the Shattuck Theatre in Berkeley. Should Cryptocurrencies Be a Part of Your Investment Strategy? Cryptocurrencies like Bitcoin continue to make headlines, presenting unexpected challenges and opportunities for financial institutions, central banks, and regulators in the U.S. and abroad. On July 26th, Financial Women of San Francisco hosted a sold-out industry leadership event (and private tour) at the Federal Reserve Bank of San Francisco. Held in the Janet Yellen Conference room, the event featured speaker Kendra Hartnett, senior risk specialist at the Federal Reserve Bank, who gave insights into bitcoin, blockchain, and cryptocurrency.